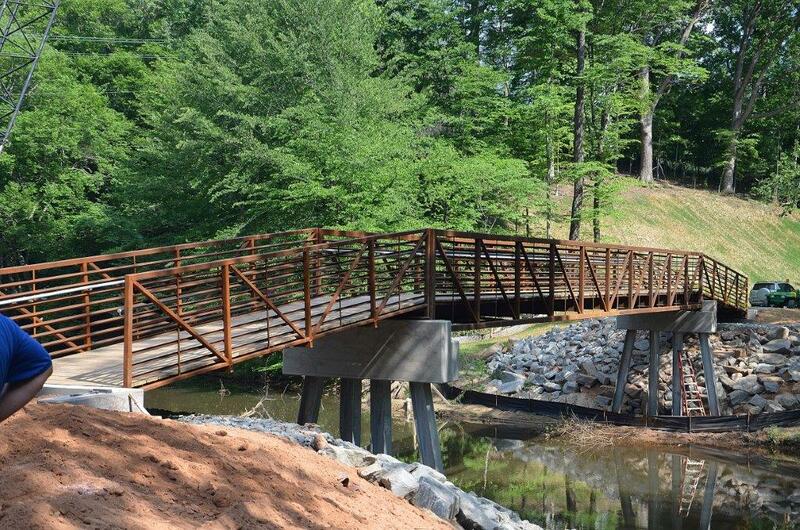 See You on the E & A Rail Trail…NOW OPEN! mile long (starting from the Municipal Park in Elkin) at this time in its development. treasures that you might not have seen before. EVTA is an affiliate member of NC Rail-Trails, Inc. (www.ncrailtrails.org), and the E & A Rail Trail is on the rail bed of the historic Elkin & Alleghany railroad. We will soon be installing interactive interpretive signs along the trail that allow you to learn about the history of the railroad and its importance to Elkin’s history. mountain bike/hiking trail is in development that will connect with the main trail. Home » See You on the E & A Rail Trail…NOW OPEN!